AMES — The position requires skill, toughness, and savvy. 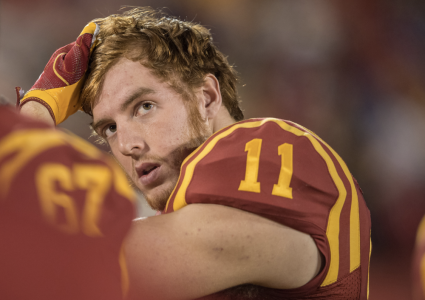 In many ways, it’s a thankless spot on Iowa State’s football team — heavy on responsibility, light on glory. And in the past couple seasons, that suited former Cyclone ‘F’ back Sam Seonbuchner just fine. ISU certainly has seen just that in seasons two and three of the Coach Matt Campbell era. The Cyclones have notched back-to-back eight-win seasons for the first time in program history. Part of the reason for that unprecedented growth stems from the development of players such as Seonbuchner, who once was a journeyman scholarship athlete in search of a position. Now ISU’s coaches are trying to find a similar “diamond in the rough” and may treat the ‘F’ spot as one that can be fulfilled by committee. Ooh, spring secrets. Who doesn’t love those? 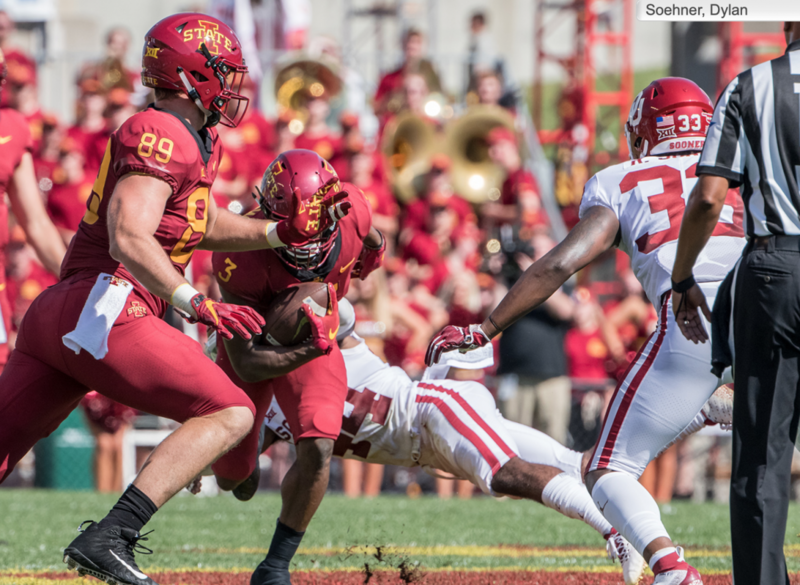 But it’s no secret that Seonbuchner’s abilities greatly boosted ISU’s running game a year ago — and someone else at the ‘F’ spot, or some version of it, must step up and continue that trend. Hence the wide-ranging approach to replacing his talents. Soehner, at 6-7 and 271 pounds, stands front and center in a sense, but his diverse skill set means he’ll likely be used in a variety of ways — in the run game and flexed out as a potential pass catcher. 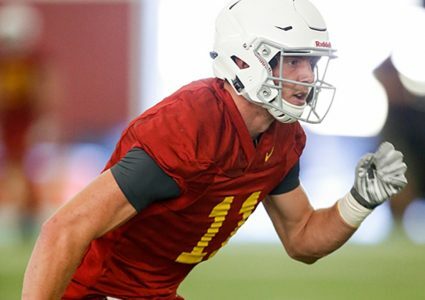 Golesh said Soehner possesses “freakish tendencies,” which only adds to a deeply talented room that features downfield threats in Chase Allen and Charlie Koler. Soehner’s done it all while learning the ropes in his first two seasons as a Cyclone. He’ll continue to develop and evolve along with the tight end group — whether that means lining up often in the ‘F’ spot, or something different. So there is no “replacing” Seonbuchner. It’s all about adapting to fresh possibilities and realities. Campbell frequently says he crafts scheme to fit personnel — and not the other way around — and having a dynamic group of tight ends makes that an exciting proposition for 2019 and beyond.